Ani's Book Abyss: Booklikes-opoly | Roll #34! Ani's Last BLopoly Roll!! Booklikes-opoly | Roll #34! Ani's Last BLopoly Roll!! The Big Game Shake Up -- Starting 6/15/2017!!! With Booklikes-opoly coming to a close within the next couple of days, this will be my very last game play roll!! And yes, I'm going to try to squeeze in one last roll, one last book, into the game. I thought about just stopping since I wasn't sure how long it would take me to finish another book, but I figure that if I have to, I'd just do a hard stop on July 31st and call it good, whether or not I'm finished reading the last book. It's sad, because I feel like the most exciting part of this game was the next time we got to roll. It was exciting waiting to see which game space you landed on next, then trying to figure out which books would fit said square. I wanted to give a great big thank you to Moonlight Reader and Obsidian Blue for all of the work and creativity put into this game, and all the fun-filled three and a half months we've all had playing! You two are so awesome! Also a big "Whoop!" to everyone playing, cheering each other on, and providing support for book selections when necessary, and generally just making the entire game play experience as entertaining and fun and we could make it! 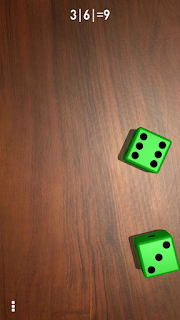 Anyway, for the previous roll, there was actually a lot of rolling of dice involved. Roll #33.1 was a doubles roll, and took me to a BL Square, which meant that I had to roll again to determine a BL Task. 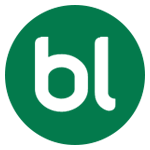 I ended up getting BL Task #2: "Give $5.00 to another player." Free money was given and my Bank updated accordingly. 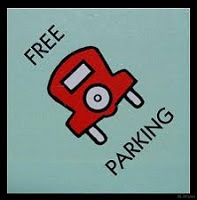 Roll #33.2 took me to Free Parking where I had to roll once again to determine which square I would ultimately land on. Rolling an odd number, I landed on Water Works. I ended up reading Heat Wave, an anthology of contemporary romances that was quite enjoyable, even if kind of mediocre. It took me about five hours to finish reading, on the day that I started reading it--that's actually faster than I'd anticipated. The book has water on the cover to fit the space, and is 320 pages. This is the second time I've landed on this space, so the Second Finish location multiplier was applied, giving this book a $9.00 worth. Meanwhile, I'm still reading my Free Friday read, Cutting Loose, which I hope to finish before the end of this game so I can collect another $10.00 for this 405 page book. 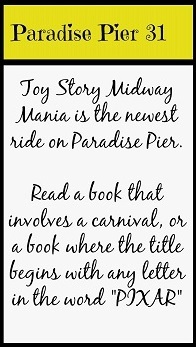 For my very last roll, I snagged a 9 and moved from Water Works to Paradise Pier 31. And, would you look at that, a game space I have never landed on before since the beginning of the game. I suppose I should feel lucky I didn't end up in Jail for my last roll, but I was kind of hoping for another location multiplier. Last roll! Last roll! 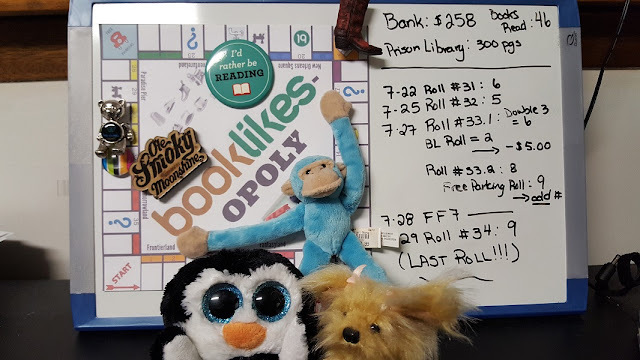 Magnetic Monkey and Friends presents, Booklikes-opoly, Ani's Last Roll! This should have been a party. Where's everyone else? This is a game space that I have actually been hoping to land on for the longest time. Mainly because I've been saving books for specific game spaces, and this one in particular had a specific book I've been wanting to read, but haven't touched yet, even for other squares, because I wanted it to fit for this one. Yes, I might have gotten a bit particular about my game play. Cold Memory by Leslie A. Kelly is the newest release and third book for the Extrasensory Agents series. I was quite excited when this book came out, because I didn't think Leslie Kelly was going to continue the series since the most recent installment had been published back in 2011--I figured that maybe she gave up on the series and went back to focusing on contemporary romance. Anyway, I was also really excited to find out that this book involves a carnival. According to the summary, our main hero Mick was raised in a carnival by his uncle, and in the present, after establishing himself as a paranormal investigator, he returns to that carnival community because members are dying mysteriously. 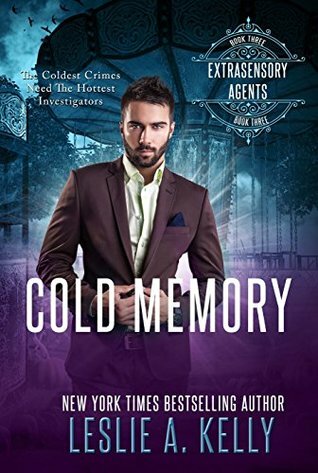 Cold Memory is 260 pages, Kindle version, and worth $6.00 upon completion. I'm really looking to start reading this book as soon as I finish my Free Friday read, Cutting Loose! Roll #12 (5/20): BL Task - Double rewards on next read & share w/ a friend / No book read.